A graduate of New York University's Department of Middle Eastern Studies, Elka Weber has taught at a number of universities. She is currently researching travel and notions of place in the writings of medieval Jews. 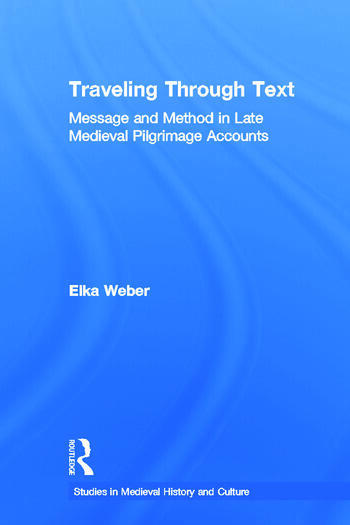 She recently contributed a chapter, Sharing the Sites: Medieval Jewish Travelers to the Land of Israel to Rosamund Allen, ed, Eastward Bound: travel and travellers 1050-1550, , 2004.